It's all about perspective I guess. A furlough day or three definitely hurts the wallet just as seeing your net worth plunge by $25 billion in one year hurts the wallet. Go ahead and give Carlos Slim Helu or Warren Buffett a call and ask them how that feels. 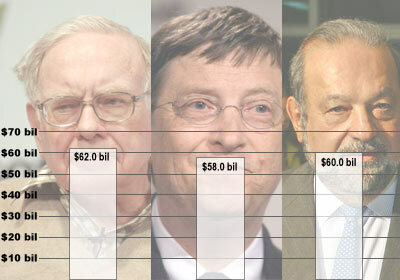 I do love the Forbes "Richest Billionaires" list.